If you are wondering about the current climate and projected future of the Central Florida real estate market, here are some positive indicators that should answer your question: • Central Florida sales are up by over 35% when compared to last year. 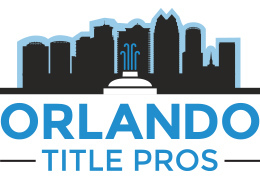 That’s the good news the Orlando Regional Realtor Association (ORRA) is reporting. In May of 2008, 1,347 homes were sold in the Orlando area. 2009’s figures for the same month are 1,854. • Pending sales have more than doubled since last year, which is a strong sign of a turn in the real estate market. 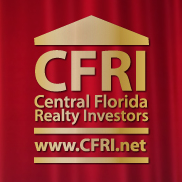 • Median home prices for Central Florida are almost 40% lower than last year’s figures. Purchasing is on the rise, while prices remain considerably low. If you are considering an Orlando area real estate investment in the near future, this should be music to your ears. Along with those statistics, high inventory levels, and the tax credit of up to $8,000 available for qualified buyers purchasing their first home, 2009 looks like a good year to buy. For those in the house flipping market, the fact that first time buyers have until December 1, 2009 to purchase if they want to be eligible for the tax credit can certainly play out in your favor. Florida as a whole looks promising when compared to the rest of the nation. By 2010, Florida is expected to rank third in the country for population with continued growth of approximately 317,000 new residents per year from 2010-2020. Even with the recent setbacks of the economy, Florida is still an ideal place to retire, and the Orlando area has everything from the affluent neighborhoods of Winter Park to the more affordable surrounding cities. For those in business, the convenience of metropolitan Orlando and all it has to offer can’t be beat. The Florida business climate ranked fourth according to the 2008 year end review as reported by Site Selection Magazine. Another plus that may not be well known is the fact that international buyers prefer investing in Florida real estate more than anywhere else in the nation. The 2008 NAR Profile of International Home Buying, reports that Florida homes account for over 25% of all international real estate purchases in the nation. If you are still unsure about whether investing in the Central Florida real estate market is a winning situation, take a look at one of the shrewdest investors you know, Donald Trump. When recently asked about the importance of investing in real estate during the current global economy, his answer included the following quote, “There are always opportunities…no matter what the market is doing. One of my first deals was done when the real estate market was in bad shape in New York City, in fact the city itself was in trouble. Make the situation work for you.” If you put your mind to it, you can prosper during any financial climate. Of course it is best to get in while the real estate market is picking up momentum and prices are extremely low. There is no time like the present to invest in the Central Florida real estate market.